If we don't stock the size you need - we can still help, call or email for a quotation. To protect your items in transit or storage, make sure you pack the cardboard boxes well so the contents can't move around too much. The heavier the load, the sturdier the box will need to be. For loads over 5kg, a double wall box is recommended. 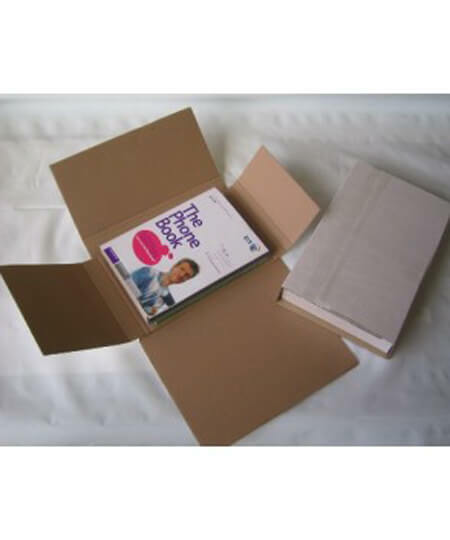 Cardboard boxes come in a frightening variety of formats offering different thicknesses, layers, folds, flaps etc. In this chapter we cannot possibly hope to cover every eventuality; our purpose here is simply to help our users choose the right box for their needs from the range that is widely available. How are cardboard boxes measured? Standard cardboard cartons of the kind we supply are always measured internally. Measurements are: length X width X height. The longest dimension of the flaps runs along the Length. They meet across the Width. What is a cardboard box made of? Boxes can be made from solid fibreboard (greyboard, chipboard or even strawboard) or from corrugated board where a fluted paper material is trapped between 2 layers to create a board of greater strength. 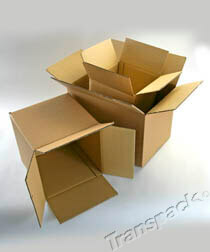 All the cardboard boxes we supply are of the latter style, often referred to as corrugated cases or cartons. What is meant by "single wall" or "double wall" boxes, and which is stronger? Put simply, single wall is one layer of fluted material between two boards while double wall is two layers. This makes double wall cardboard boxes much stronger, in fact it is more than twice as strong, and if you are moving house this is the box we would recommend. Are there different strengths of the cardboard? Yes. While most boxes are based upon a standard board they can be made from heavier material to special order. 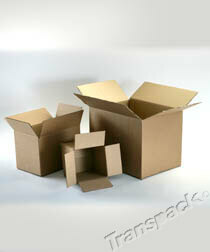 Can I get White cardboard boxes for my products? Yes. For boxes there are 2 kinds of White. The most common is a mottled White (like our White boxes). It has an excellent appearance but is not an all over pure White. If this is not White enough there is a High White available on special order. Do I have to order more to get White boxes? Yes. The minimum quantites for White boxes are much higher than those for the normal brown ones. For mottled White this might be 5 times as many. For High White it could be 20 times. The exception is our range of self-locking postal boxes which are (nearly all) Mottled White. Do I need "single wall" or "double wall" boxes? Only you can judge this. You will need to consider many factors in arriving at your conclusion, such as weight to be carried, method of transit, height of stacking and "integrity" of contents. In general terms single wall cartons are deemed to be adequate only up to about 5kg weight of contents. However, if the contents are very robust and a tight fit in the box a greater weight may be possible. If you are despatching this weight by parcels carrier however, a double wall box is likely to cope with the multiple handling much better. How do I pack my boxes to minimise damage? The first rule is one word - tight! No matter what the content is it must NOT be allowed to move about in the box, even if the box is dropped. There is a wide variety of cushioning and filling material available for fragile items or mixed consignments and you may have to experiment to arrive at the right solution for your business. We will always do our best to help in individual cases. Can boxes be made to my special sizes? And what is the minimum amount? 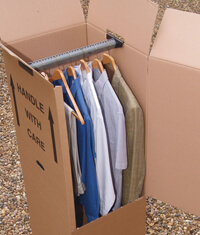 Standard boxes can be made to any size within reason. The minimum quantity for any normal use is 50, though exceptions have been made. You should be aware, however, that the price for 50 can often be 3 times the price (each) for 200 or 300. 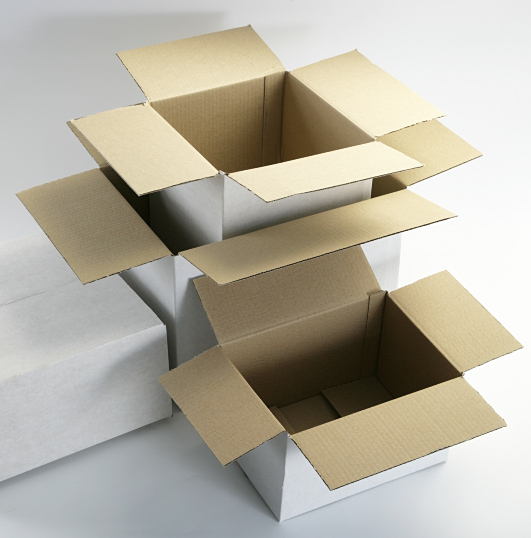 Non-standard boxes, such as special shapes or "die-cuts" are normally subject to much higher minimums. For example, if you wanted a made to measure self-locking postal box the minimum would be at least 1,000 and there would also be an extra charge for the cutting tool. Can cardboard boxes be printed? Yes, this is no problem. Most of the box making machines have rotary print facilities built in. There will be minimum runs of perhaps 500 or more, and plate-making is also an extra cost. Multiple colours do become very costly as they involve multiple runs and colour changes. It should also be noted that the print method is "flexography" which cannot cope with half tones or close registration. Can I get coloured cardboard boxes? Yes. But this is subject to large minimum orders - perhaps as many as 5,000 boxes - and a significant cost increase. Can I get wax-coated cartons for export? Yes. This is subject to a minimum order and takes a little longer but it is no problem. Can I get boxes that will go through a letter-box? Yes, some of our self locking postal boxes will go through a standard letterbox; three of these sizes have been designed specifically to fit through Royal Mail’s "Large Letter" Slot, too. Additonally, our PIP boxes (pricing in proportion) are also available to help keep your postage costs down and fit through Royal Mails ‘Large Letter’ slot.